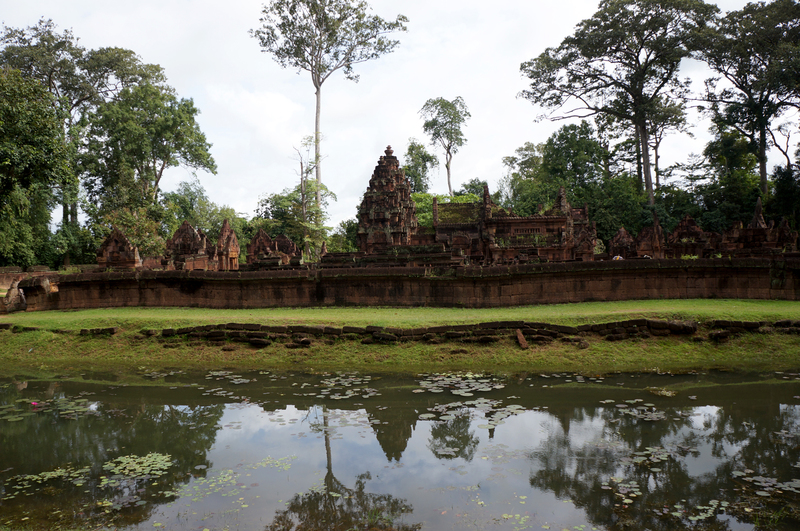 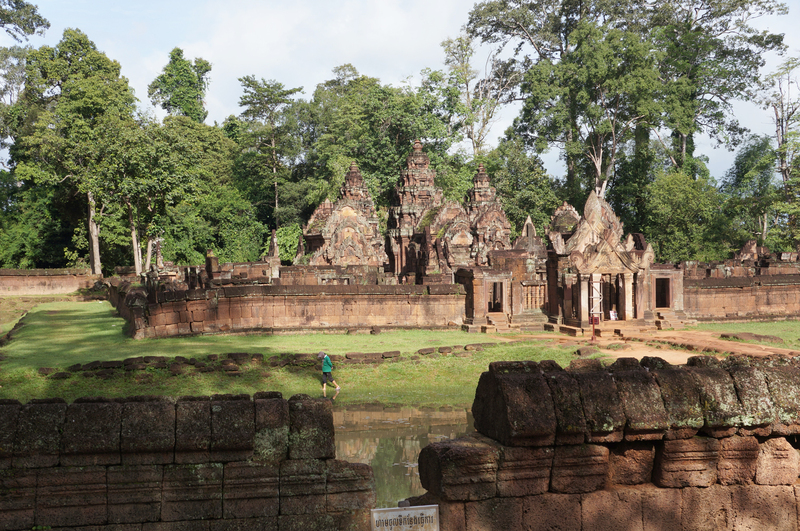 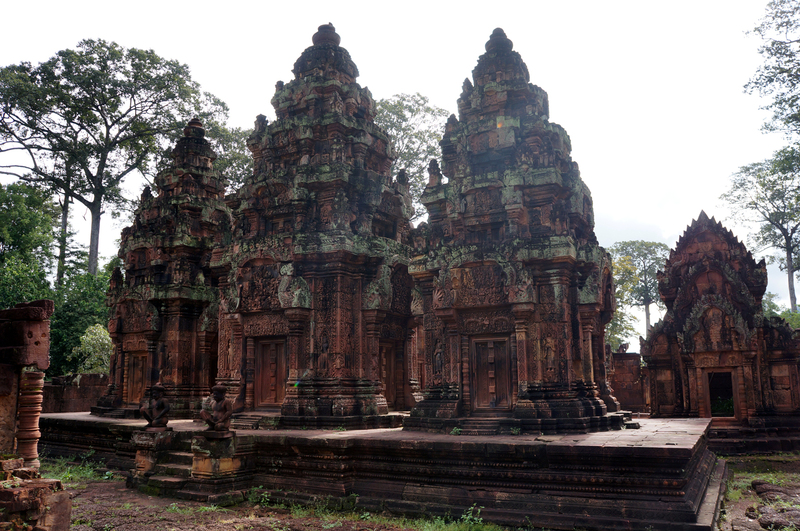 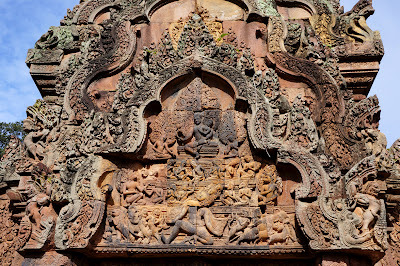 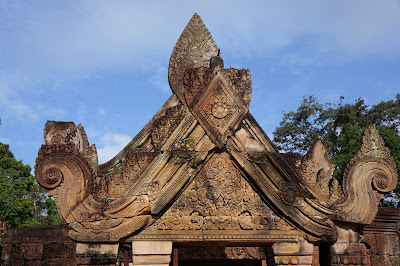 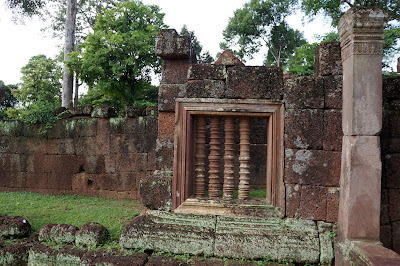 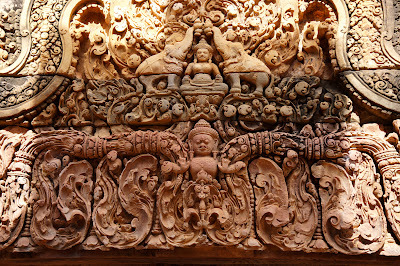 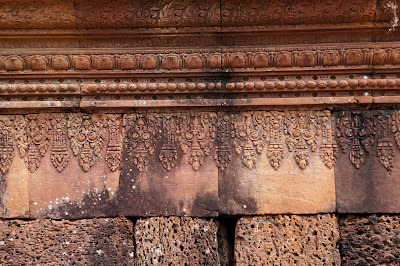 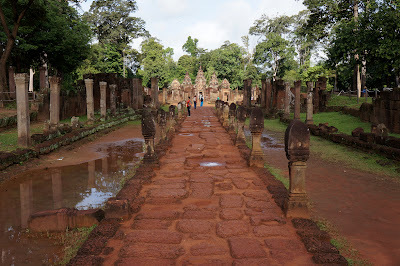 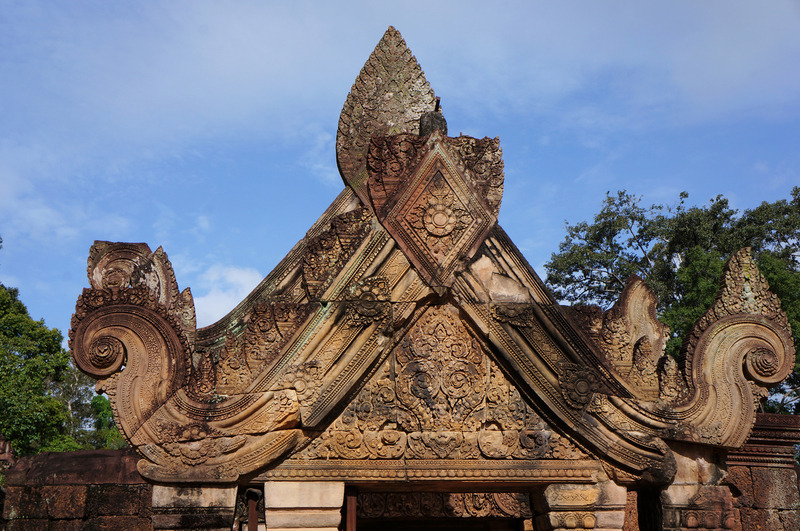 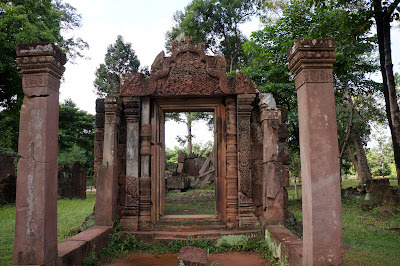 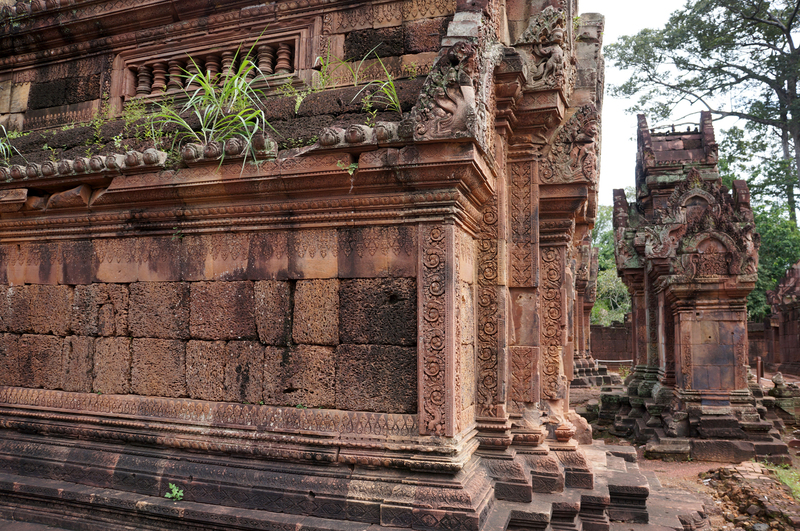 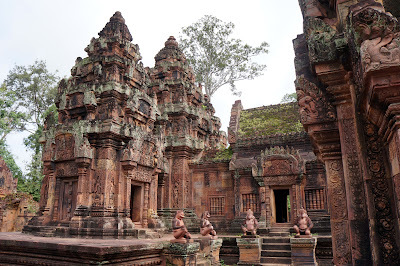 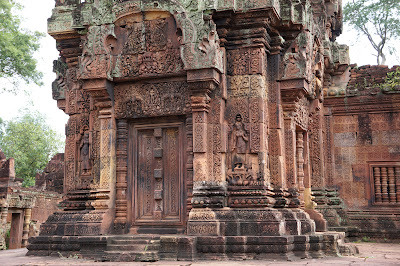 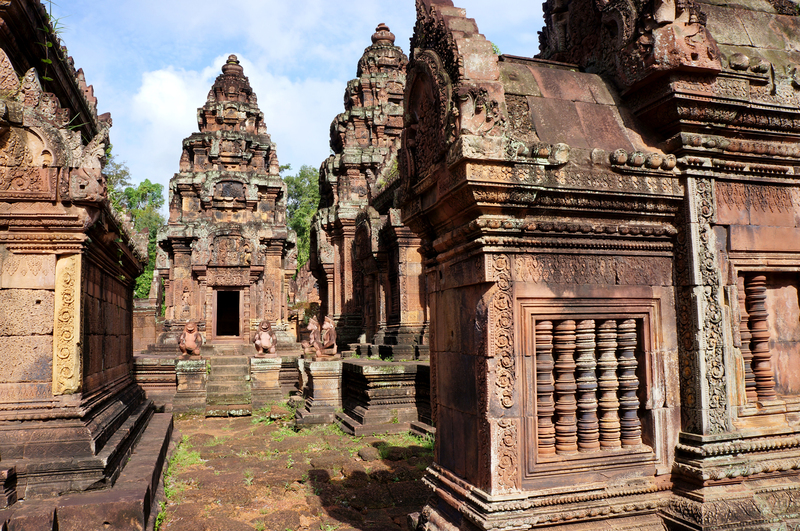 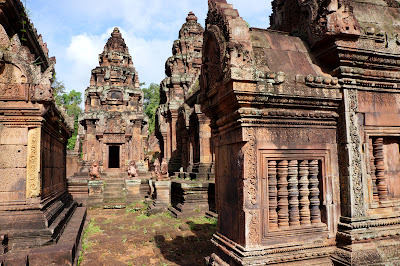 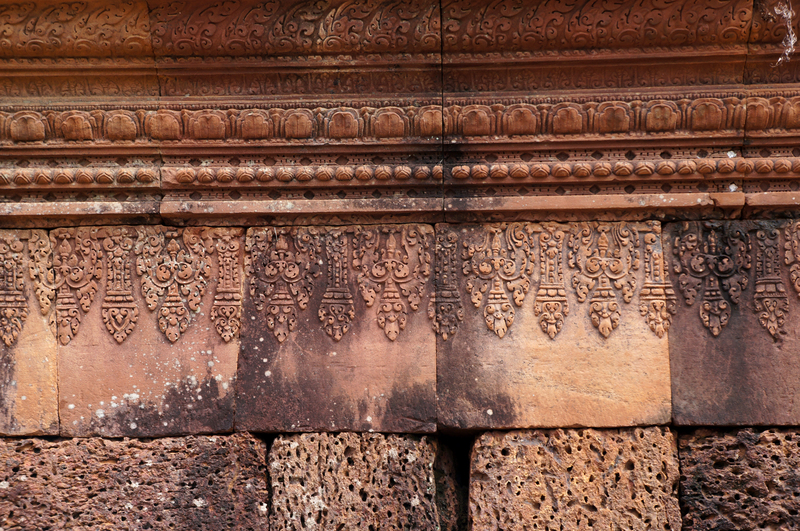 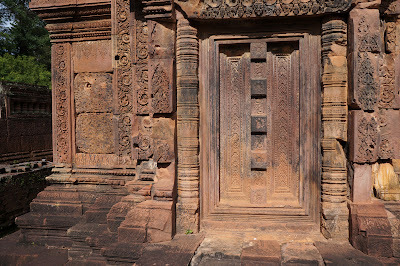 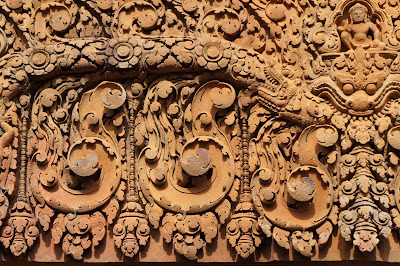 Day two we headed out very early from the hotel to Banteay Srei, or 'Ladie's Temple' as it's locally known, which is considered the jewel in the Angkorian crown in Cambodia. 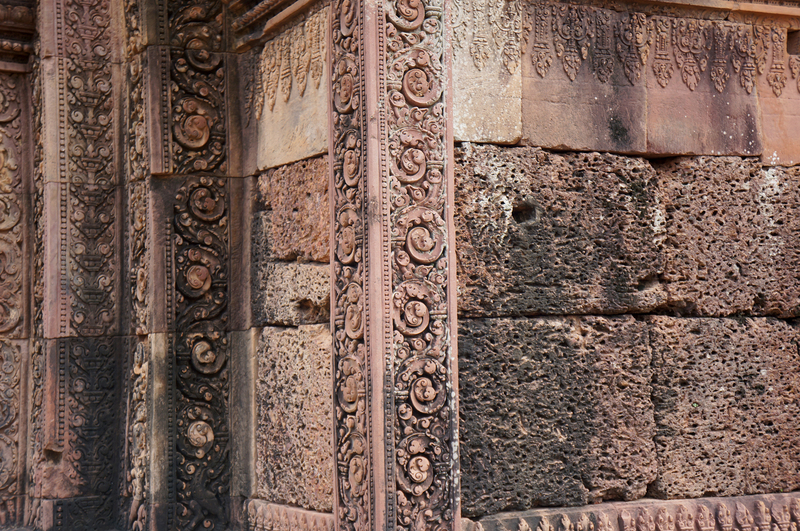 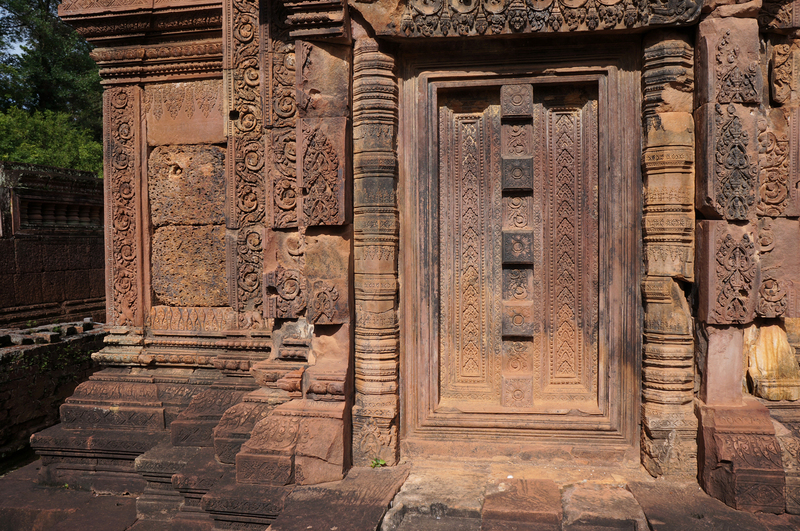 This is a Hindu temple dedicated to Shiva and has carvings of incredible depth in beautiful warm pink sandstone. 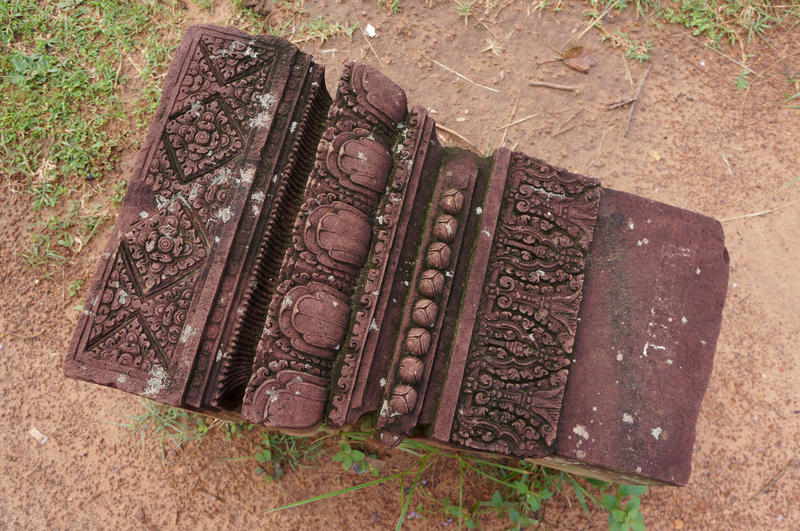 Parts of this temple too are yet to be restored. 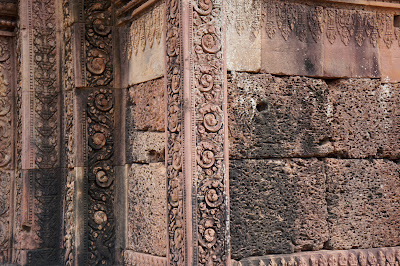 The pink stone is so nice and vibrant around it's green surrounds that it must have been quite a glorious sight when it was first build. It's quite small compared to the other temples we visited, but I have to say the stone carving won mw over. 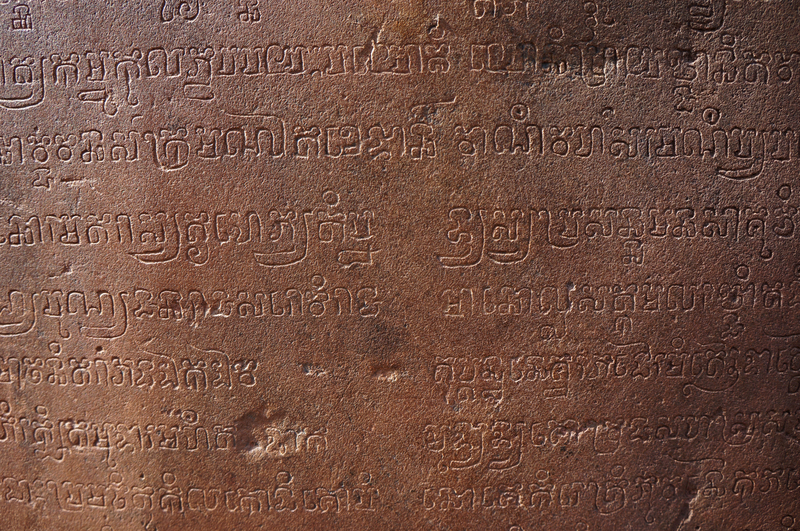 Hard to imagine how they managed all this with such basic tools. 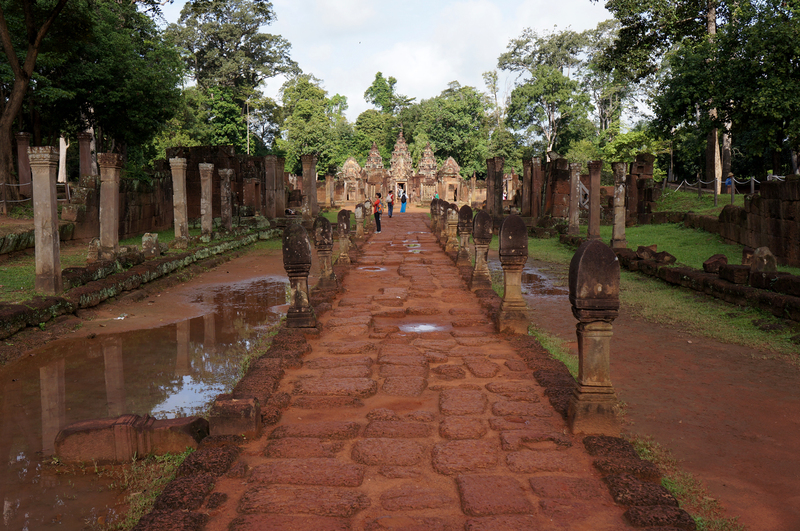 Our guide told us not getting stones perfectly aligned at right-angles could mean death! 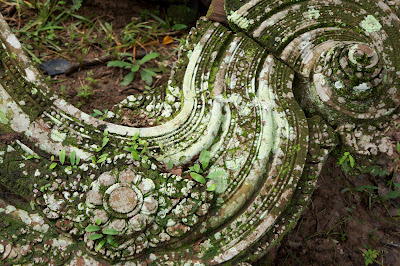 The stones are laid first, then carved. So imagine if you slipped up here! 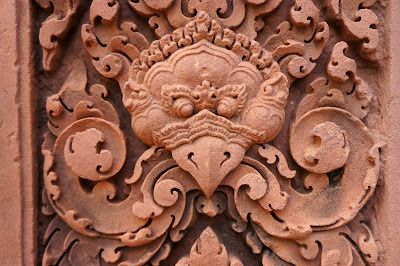 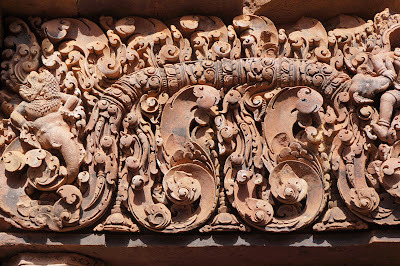 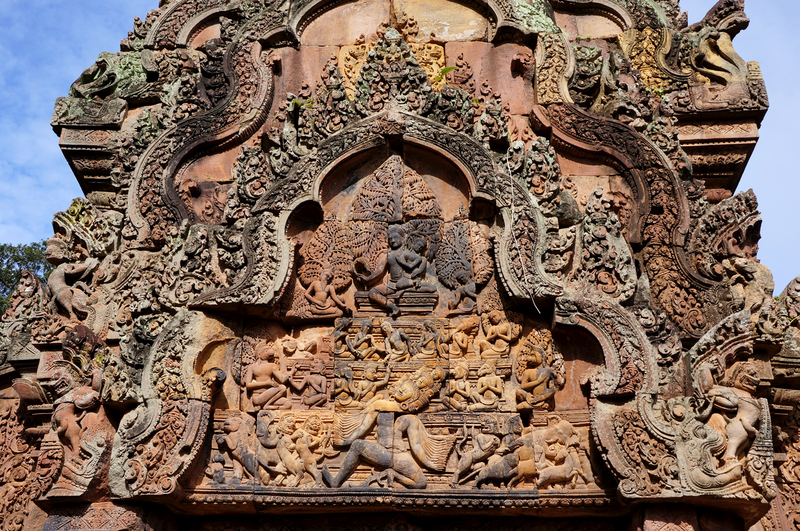 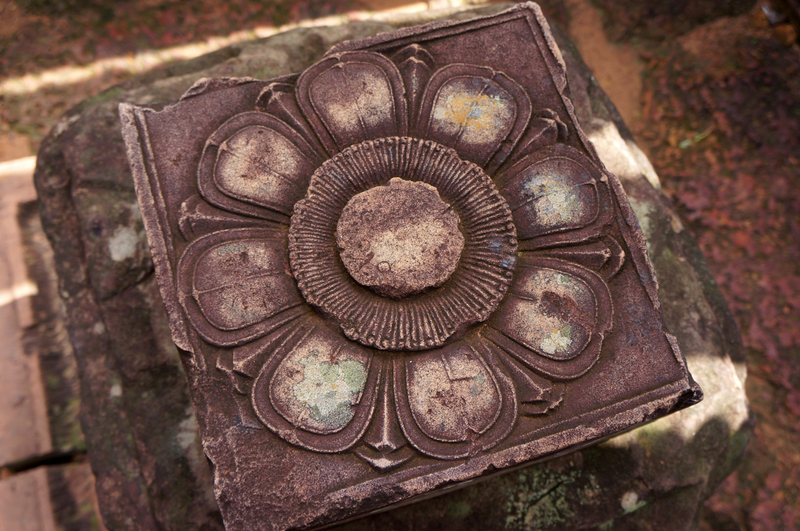 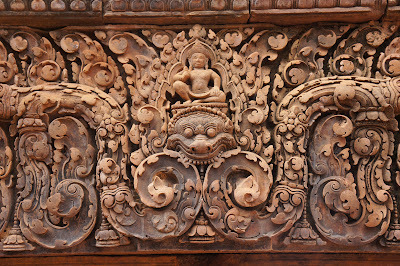 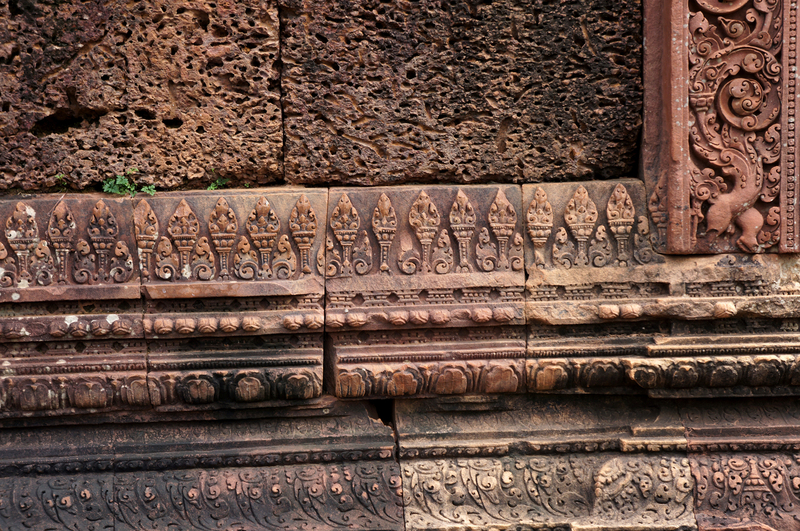 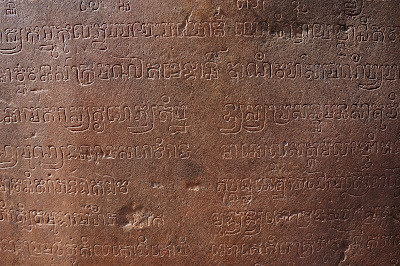 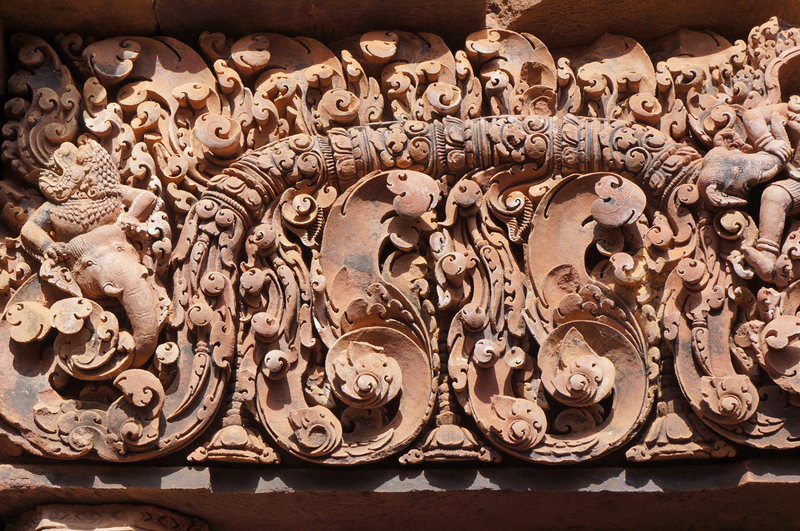 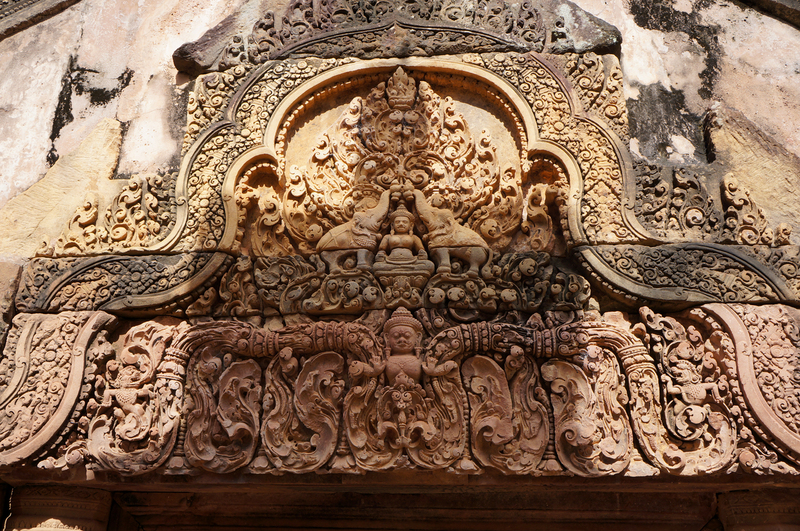 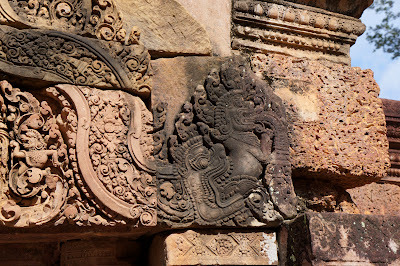 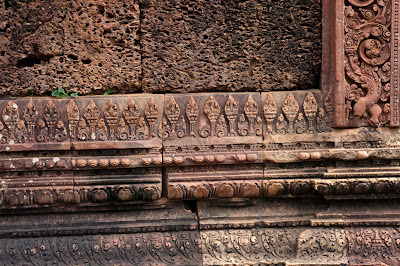 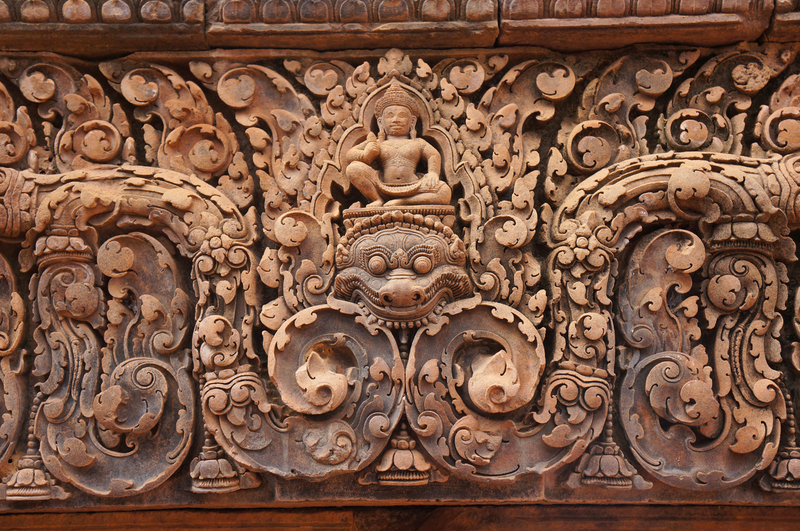 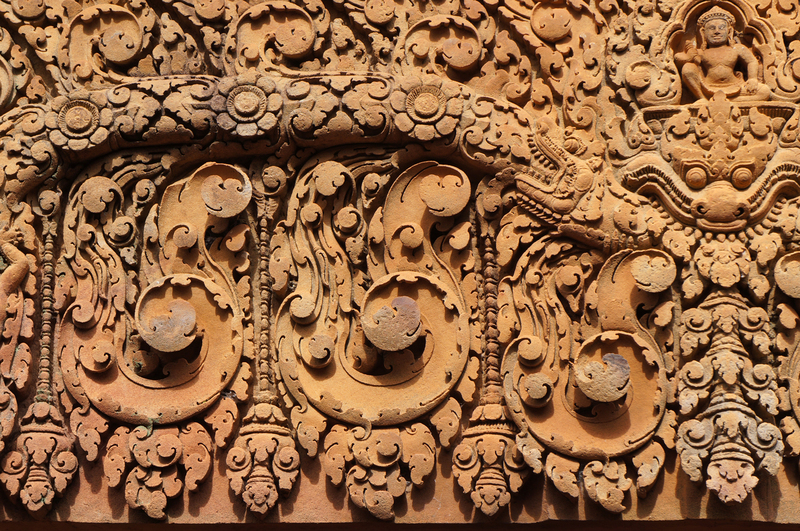 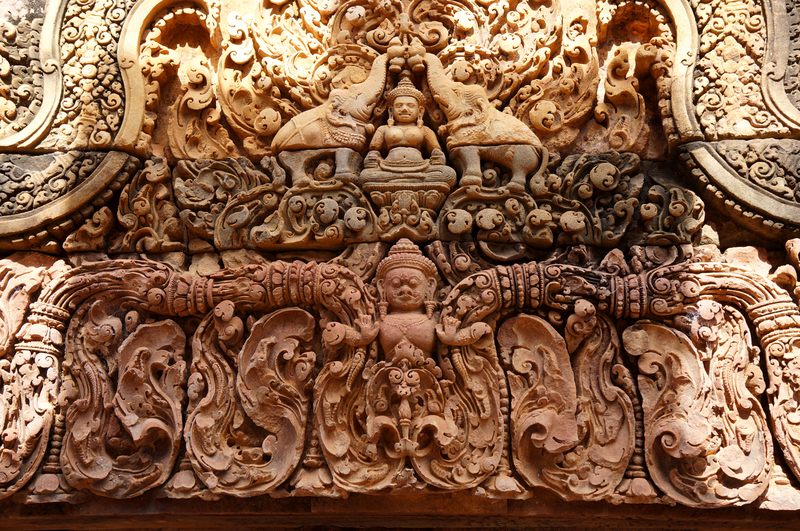 Carving of a lotus flower, a reoccurring symbol in all the temples. I just couldn't get enough of these beautiful carved stones. 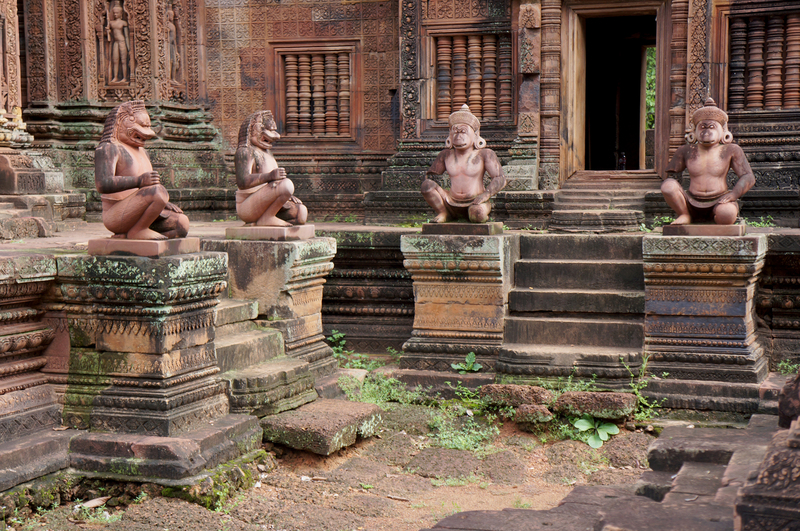 Monkey's on guard. I believe these are replicas and the originals are in a museum somewhere.